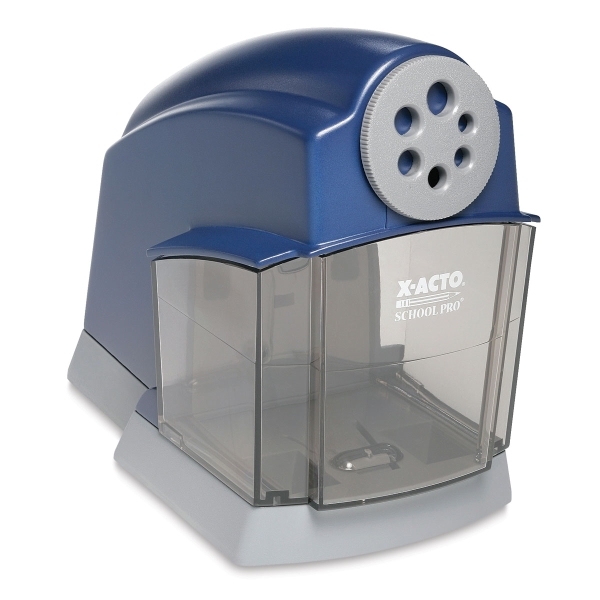 X-Acto's School Pro Electric Pencil Sharpener is classroom tested and teacher approved for classroom use. It sharpens wood, composite, and recycled pencils. The dial fits regular or thick children's pencils. This sharpener features an extra-large shavings receptacle, an automatic pencil stop, a quiet heavy-duty motor, and other safety features. Carries a two-year warranty.